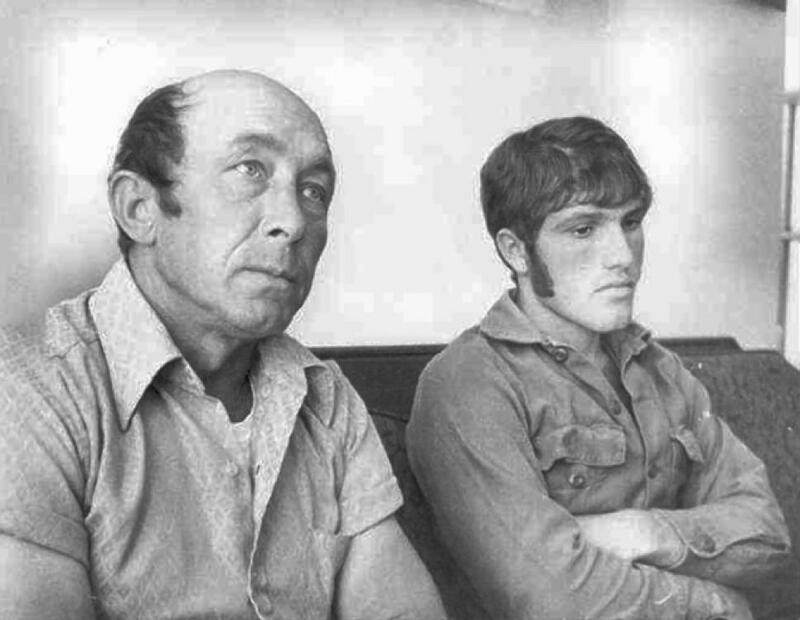 On the night of October 11, 1973, co-workers Charles Hickson and Calvin Parker were fishing on the Pascagoula River in Mississippi when the two men suddenly heard a hissing sound coming behind them. When they turned around, they saw an oval-shaped craft hovering in the air and flashing blue lights. A door on the craft opened, and three robot-like creatures floated down toward Hickson’s and Parker’s boat. 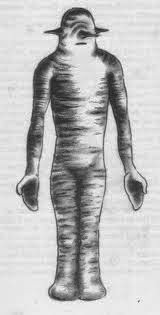 The creatures were about 5 feet tall, with gray wrinkled skin, clawed hands, and slits for eyes and a mouth. The two men found themselves paralyzed and unable to resist being grabbed by the creatures. Parker fainted at this point, and they were then floated up into the spaceship with their abductors. According to Hickson, he was taken into a room full of light and examined by an oval-shaped probe that circled around his body. When the probe had finished its examination, the creatures floated out of the room and then floated Hickson back outside after 20 minutes. Hickson found Parker on the shore, crying and praying. The spaceship then left, and Hickson and Parker went into their car to calm down and try to make sense of what happened. 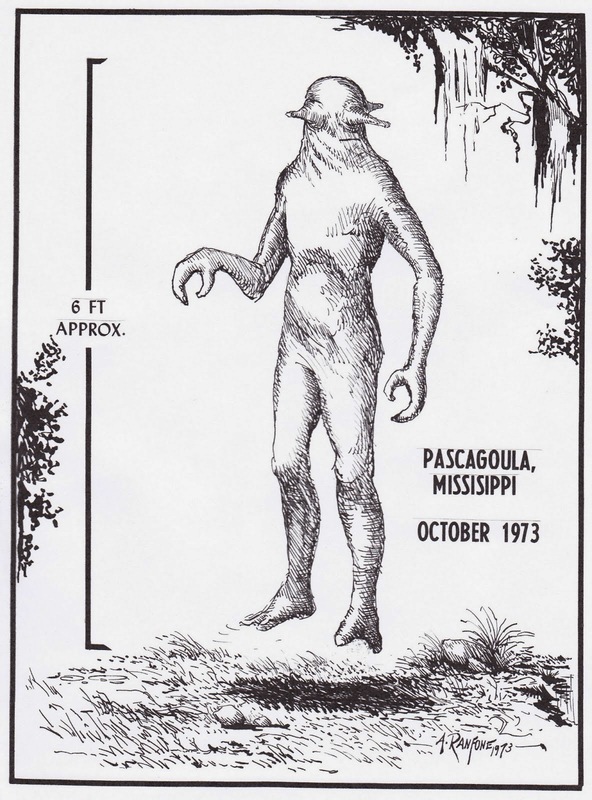 The story appeared on local newspaper headlines the next day, and soon news reporters and UFO investigators were crawling all over Pascagoula and harassing Hickson and Parker at their workplace. Hundreds of UFO sightings in Mississippi were reported in the next couple of weeks, including an encounter by some Coast Guardsmen with a glowing object moving underwater in the Pascagoula River. While Parker initially tried to keep his distance from the incident, Hickson gave media interviews and lectures about his experience, even visiting local schools. In 1983, he published “UFO Contact at Pascagoula” with investigator William Mendez, a full-fledged (and rare) book about the encounter and three incidents of psychic telecommunication he said that he received in 1974. Until he passed away in September 2011, Hickson continued to insist that the story was true and that the creatures he saw were peaceful aliens concerned about the earth. After participating in some hypnotic sessions, Parker recovered vague memories about what had happened that night. Unlike Hickson, he was wary of the attention he attracted, and eventually moved out of the state. Over the past two decades, he has become more open to interviews and has even participated in UFO conventions. So what have skeptics had to say about the Pascagoula incident? 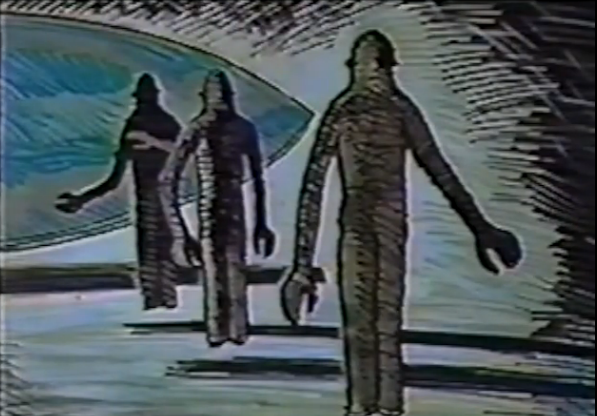 Hickson’s and Parker’s story made a big splash in national media back in 1973, and some of the biggest names in the UFO investigation community, like J. Allen Hynek and James Harder, believed that the men were telling the truth. While Hickson and Parker did pass lie-detectors, there were inconsistencies in the interviews Hickson gave to the media. Much of the story, in fact, had come from Hickson, since Parker said he passed out. Nobody else in the area, including drivers on a well-used highway, claimed to have seen the UFO. In an interesting article for the Committee for Skeptical Inquiry, noted paranormal investigator and debunker Joe Nickell suggests that the whole abduction was a vivid hallucination by Hickson. Hickson had drunk some whiskey after the abduction to soothe his nerves, and Nickell suspects that he and Parker might have been drinking before the incident. They fell asleep afterward, but Hickson suffered an episode of hypnagogia, a state of consciousness in which a person is in between sleeping and waking up. Hypnagogic episodes often involve the experiences of paralysis, seeing lights, and feeling as though one is floating. While Parker might not have had a hypnagogic episode himself, he might have been influenced by Hickson and the hypnotic sessions he had undergone. Pingback: Will a Wall keep these Illegal Aliens out? – Deaths, Abductions and Deviants….oh my! The Aliens individuals out:: they have flying machines::: it’s like the Republicans telling us that Trump was alright to cheat on his wives. Abductions, kidnabbing is wrong:: Slavery is wrong& that expensive Wall is not going to protect the USA. We need better space weapon defensive weapons. They need to tell the truth about all the missing people —411 Missing people in our National Forest and National Parks.Do not let your cat out to have their blood drained — Tell the truth!! About what is really happening— our Space Brothers & Sister’s have no right to experiment on us::: this has to STOP. Yes, border walls do work…. just like the locked door to your home and car is now. Mexico has an enforced border fence to their south, Israel has fencing, many modern countries continue to successfully protect their citizens better than if there were no border protection… most folks with negative views would need to be personally impacted before changing their mind… perhaps soon you will when you help to pay off all the added expenses for having uninvited immigrants using multiple services (more than our citizens) out of our tax dollars. Maybe it’s like the cattle mutilations here in Louisiana in the late 70’s they are checking the health of cattle and the humanspecies,I wonder what they are monitoring or looking for? Both hillbillys were drunk is all. Case closed.